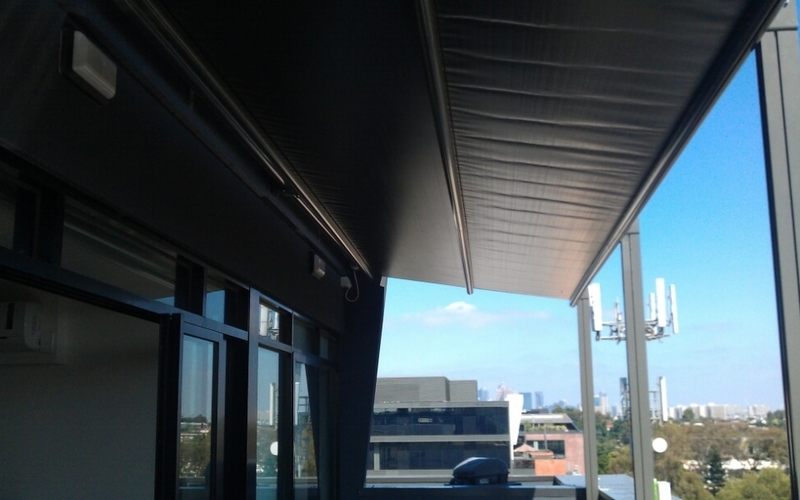 The PACCHETTO is our most economical all weather retractable roof awning system, providing all year round weather protection from Melbourne's harsh conditions. It is robust system and easily mounted to walls or can be rafter fixed underneath gutters. 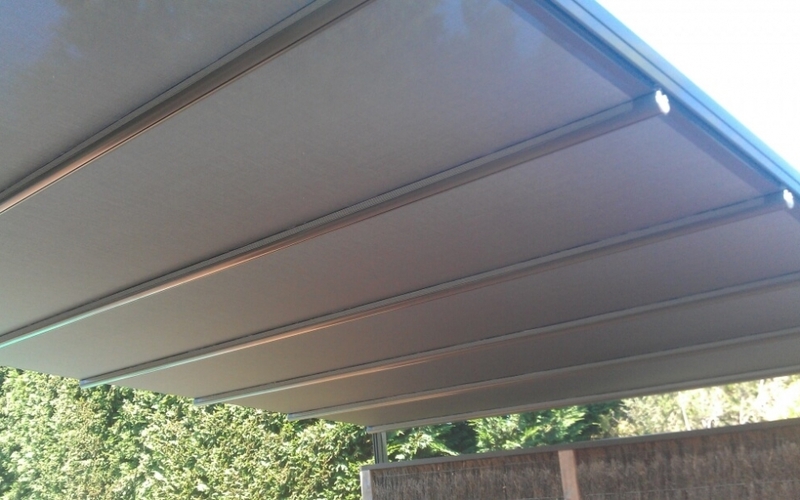 With it's motorised operation it's a great way to get more use out of your outdoor living area. 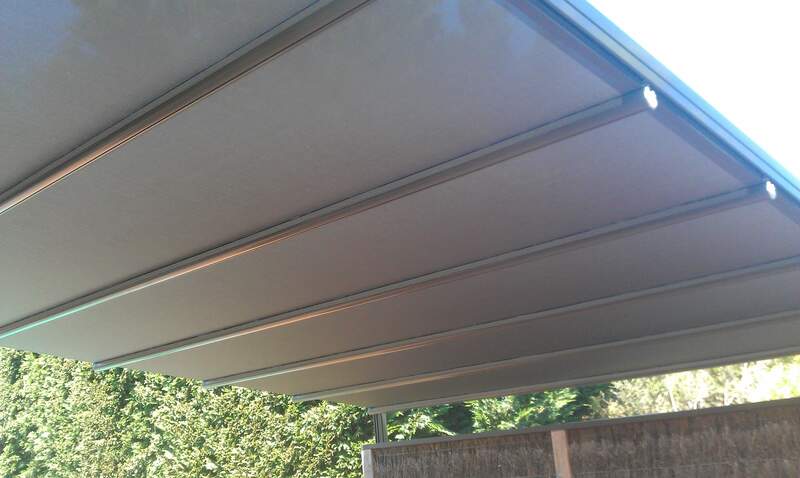 Where all year round weather protection is required for an outdoor space to make it more useable and having the flexibility of an alfresco area. It can be mounted on a wall, be fixed underneath gutters via rafter fixing or can be free standing with a made up frame.Ideal for hospitality, commercial and residential uses. 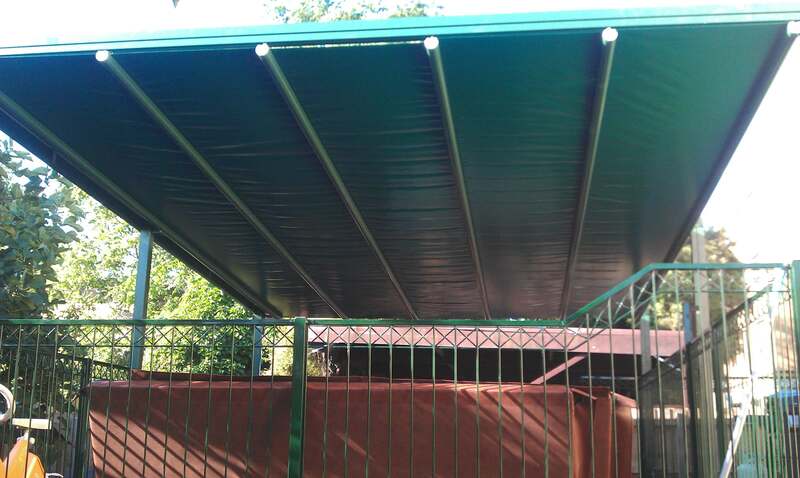 Designed for the outdoors, The PACCHETTO can be operated in almost any weather to provide protection. It can be manufactured from widths as little as 3 metres and up to 18 metres with a maximum projection of 6 metres. It operates on a belt system hidden inside the joists. The motor turns a belt which the front bar is connected to. As the front bar moves forward it pulls the other crossbars with it hence extending the awning to a tight closed position. 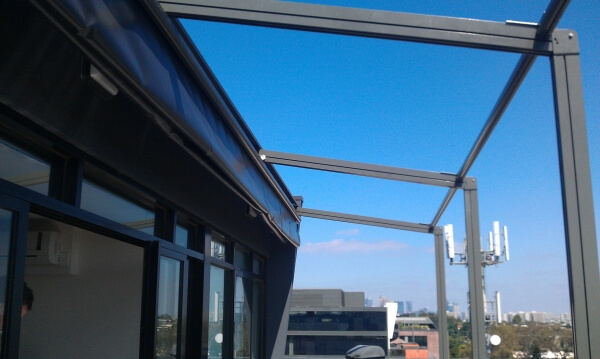 When retracting it pushes the cross bars back opening the awning. Fully motorised, it’s easy and quick to operate giving you more flexibility and use of your outdoor area. 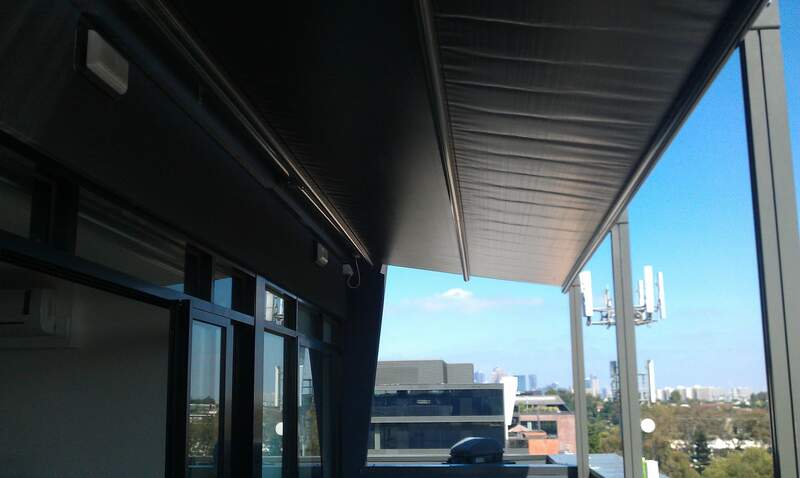 Designed to last and incorporating the highest quality materials The PACCHETTO retractable roof system is of a leading European design and assembled to your specific requirements here in Melbourne. 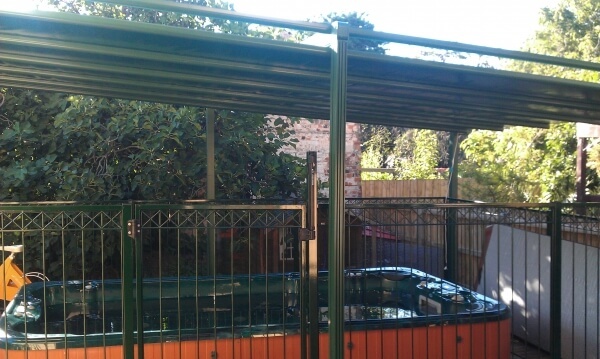 It is composed of powder-coated aluminium posts and cross beams and incorporated stainless steel fittings making it completely rust proof. We also use only the German Becker brand of motors and automation or the French Somfy ones. All backed with a 5 year warranty. Options for the Pacchetto retractable roof system Melbourne include water drainage to the front, left or right sides. Dulux powdercoat colours for the frames, large choice of leading fabrics and colours, and full automation with timers, sun and wind sensors. 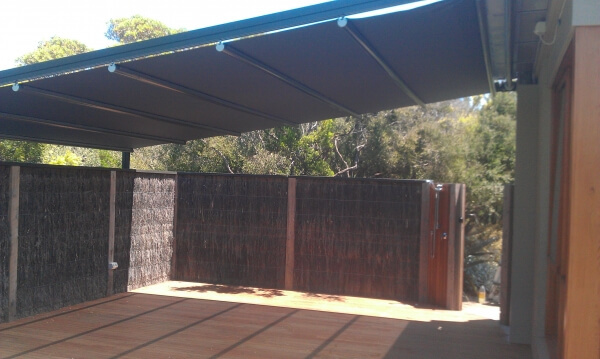 Ziptrak Blinds can also added to the front and sides to create a complete enclosure.